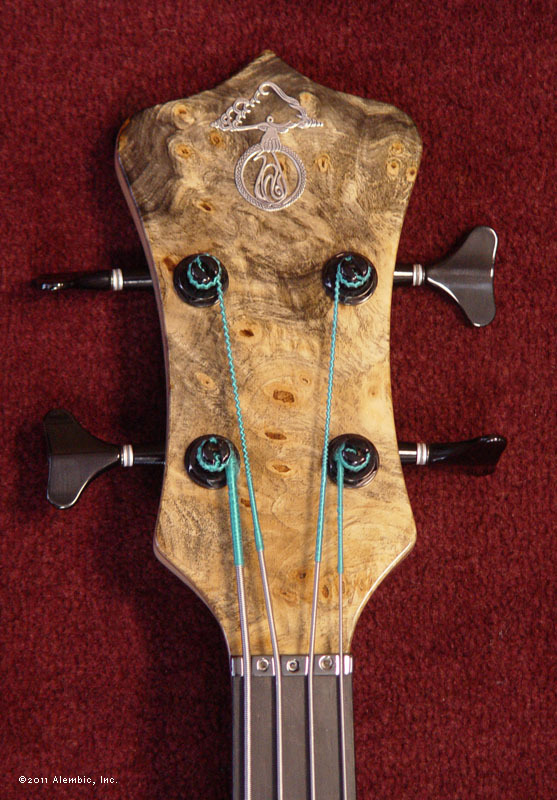 Tumultuous swirling Buckeye Burl is drop-dead gorgeous on the front and back of this showstopper. Sultry dark greys, blues and greens of the fungal stain mix with the flaxen natural color of the wood. 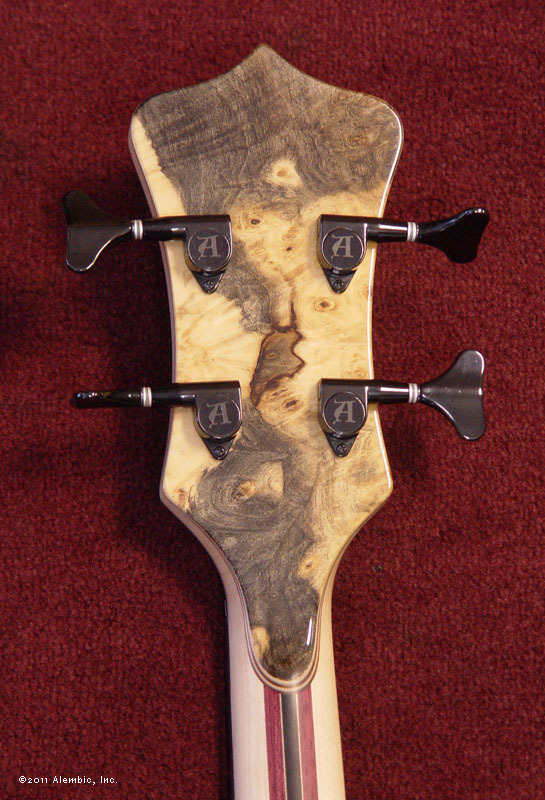 Two perfectly perched knots at either side of the tailpiece are like pebbles dropped into a mystical pond. 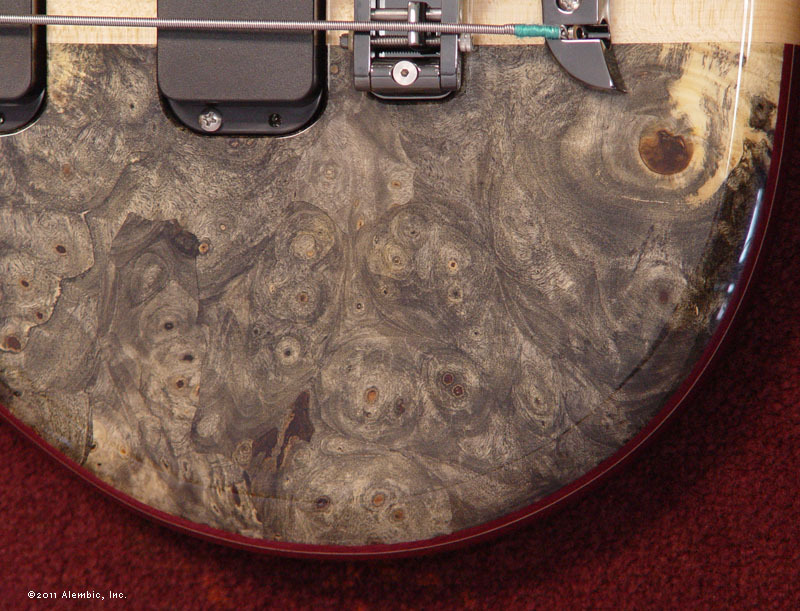 Do note that Stanley Clarke's newest personal Series I bass is made from Buckeye Burl. Now for the sound. Think classic clean and clear Alembic tone, but with a healthy dose of otherworldly low-end with fundamental sustain to shake the clouds. It's probably not a sound you've exactly heard before, but that's a good thing. 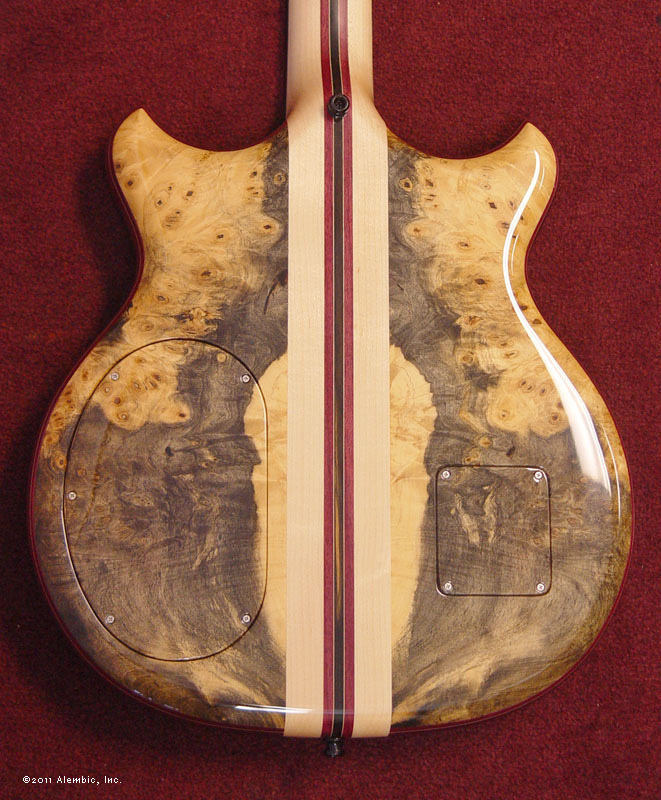 A host of features rounds out this bass that is every inch a custom, but requires no more waiting other than transit time, since it's already done and on display at Music Unlimited in Monterey. 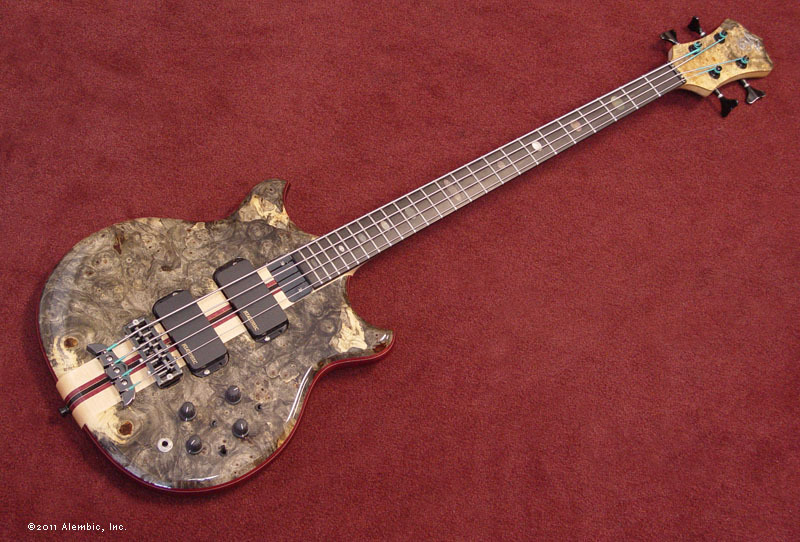 In fact, you can call John Prock the store manager and arrange to demo this bass or have it shipped directly to you.